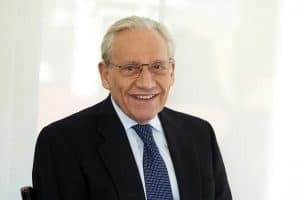 At the 2019 PEN America Literary Gala, Bob Woodward will receive the 2019 PEN America Literary Service Award. The award is presented annually to a critically-acclaimed author whose work embodies PEN America’s mission to oppose repression in any form and to champion the best of humanity. He has authored 19 books; the latest, Fear: Trump in the White House became a #1 international best seller, selling over 1.1 million copies in its first week in September 2018 and breaking the 94-year-old first week sales record for its publisher Simon & Schuster. All 19 of Woodward’s books have been national nonfiction best sellers, and 13 of those have been #1 best sellers, more than any contemporary author. No one digs deeper or has provided a more detailed or penetrating portrait of the nine presidents—from Nixon to Trump—he has written about for the Post or in books.